That is the opening paragraph from an invaluable essay titled Islam in European Classical Music. It appears on Fikrun wa Fann (Art and Thought) the cultural magazine of the Goethe Institut devoted to dialogue with the Islamic world, and it provides a welcome corrective to the current demonisation of Islam. But are we ready for an Islamic interpretation of Wagner? 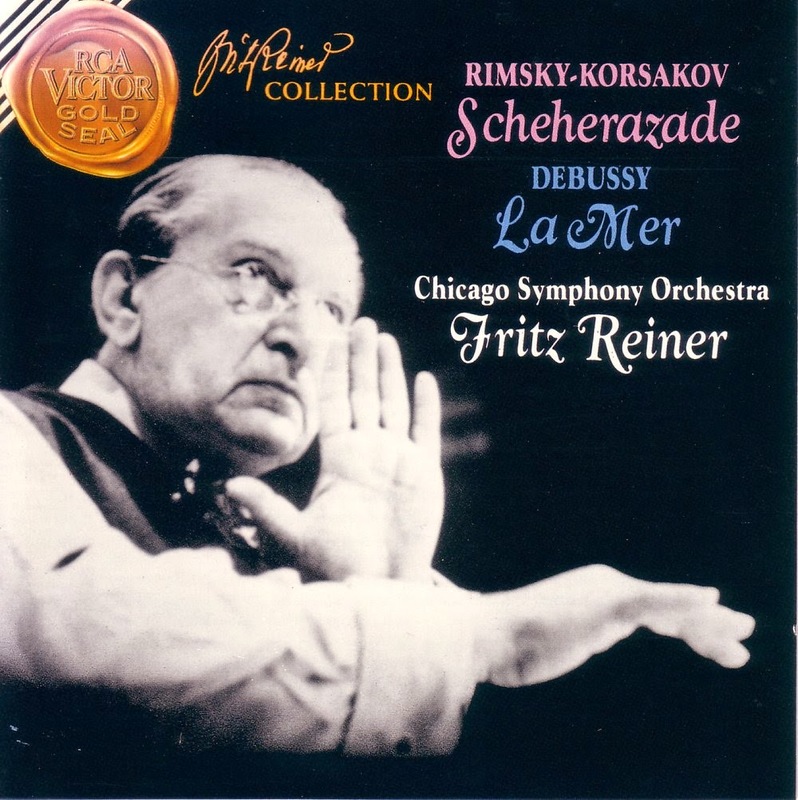 Rimsky-Korsakov's Symphonic Suite after "A Thousand and One Nights" Scheherazade in the classic 1959 recording by the Chicago Symphony Orchestra conducted by Fritz Reiner seen above first featured in a 2008 post. As I said then, it is easy to understand from this extraordinary performance why Reiner was feared and hated by members of his orchestra. It is hard-driven with almost impossible tempi for the exposed parts, but the result is one of the wonders of the gramophone. My thanks go to the bridge-building Yahya Lequeux for the heads up on the Goethe Institut article. Any copyrighted material is included as "fair use" for critical analysis only, and will be removed at the request of copyright owner(s).Also on Facebook and Twitter.